Pain management for patients with acute and chronic back pain, neck pain, headache, neuropathic pain and cancer pain can receive treatment by various modalities specific to their problem by Pain Specialist Dr Clifton Timmins. Dr Timmins is an anaesthetist who completed a fellowship in Pain Medicine at The Professor Tess Cramond Multidisciplinary Pain Centre at the Royal Brisbane and Women's Hospital. He underwent advanced procedural pain management training at Greenslopes Hospital in Brisbane. He returned to Cairns and established the Far North's first pain medicine service, Algesia Pain Medicine, in 2010. Weekly procedural pain management techniques have now been delivered to over 1,000 patients at the Cairns Day Surgery with improvement in function, quality of life and reduction of strong medications. The Image Intensifier X-Ray machine has been upgraded enabling more advanced interventions. A new radiofrequency generator is being extensively used for degenerative back and neck pain with referred leg and head pain. Furthermore, Far North Queensland has excellent Allied Health Services. This enables the delivery of Multidisciplinary Pain Management. Privately insured patients can access procedural treatments at Cairns Day Surgery. Most of these treatments are gap covered meaning there is minimal or no cost. Lower Back Pain. Initial assessment uses features of the history, examination and imaging to identify the dominant source of the pain, which is usually from degenerate discs or facet joints. Facet Joint Injections and Radiofrequency Neurotomies are effective for (often elderly) people with back and referred leg pain from degenerative facet joint disease. Disc Pain of the Lower Back and Neck has traditionally been treated with epidural steroid injection. 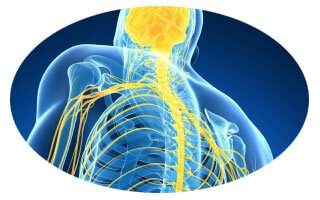 They are also effective for neuropathic radicular pain of the leg (sciatica) or arm. 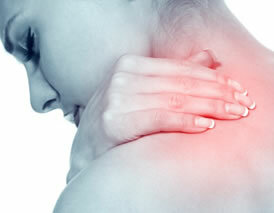 Neck Pain and Headaches are often related. The presentation of 'cervicogenic headache', which is usually unilateral, is treated by radiofrequency neurotomy of the sensory nerves from painful arthritic cervical facet joints. Trigeminal Neuralgia and Occipital Neuralgia Pulsed Radiofrequency Treatment is a non-destructive, minimally invasive treatment that is producing remarkable results for many sufferers of these debilitating conditions. Persistent Pain after Back Surgery and other problematic pain conditions are being increasingly managed with selective Neurostimulator Implantation. Dr Timmins is committed to providing a prompt pain medicine service with a short waiting list to people who have acute and persistent pain, within Cairns and the surrounding region.